is a conspicuous genus of myrmicine harvester ants found in the arid regions of Africa and Eurasia. 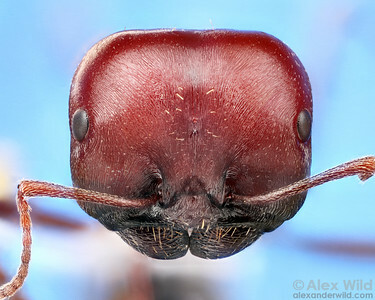 This close-up portrait of an African harvester ant head is a composite of 900 separate photographs. Kenya. 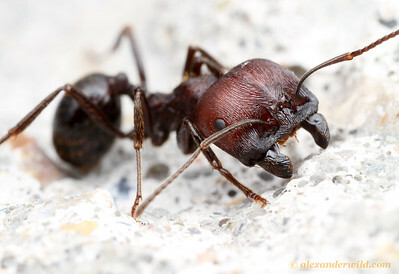 The massive head of this harvester ant major is used for crushing the seeds that form a portion of these ants' diet.